What conclusions can we draw from our analysis of policy areas and recent developments in the EU? Our previous positions and strategies on the EU have put us on the defensive. This needs to change. The following positions should form the basis for seeking out new strategies and courses of action. 1. The positive aspects of the EU must not prevent us from criticising it. The EU has many positive aspects, including the freedom to travel or work in other EU countries, financial transfers to structurally weak regions or the chemicals regulation REACH. However, we must not celebrate these benefits blindly in the manner of initiatives like “Pulse of Europe”. Ultimately, these positive aspects are juxtaposed with many problematic areas of EU policy, including trade policy, neoliberal economic and austerity policies and refugee or military policy. As such, EU policy is contradictory. Many of the above-mentioned benefits, such as freedom of travel and free movement of persons, also have their downsides. Those who still remember the long traffic jams on the border perceive their disappearance as progress – yet the elimination of border controls does not equal real freedom of movement. One example of this is that EU citizens in other countries do not automatically receive social benefits; the free movement of people only covers the right to take a job in another EU country. Furthermore, it causes wages to be squeezed and social standards to be eroded in the richer parts of the EU. In addition, freedom of travel and free movement of persons are often the first freedoms to be politically restricted. Border controls prior to international protests or over the course of the refugee movement are two examples. Again and again, we see politicians seeking to cut social benefits for EU citizens. Ultimately, even mobility-enhancing EU projects such as Erasmus exchange programmes are only accessible to a comparatively small group of individuals. By contrast, capital, goods and services can move freely, and their freedom of movement is barely subject to any restrictions at all. This imbalance is no coincidence, but a consequence of structural selectivity. The existing rules, institutions and competences of the EU are not neutral. They function to strengthen neoliberal-oriented projects and promote the interests of capital in the EU. In contrast, emancipatory projects and the interests of the general public are given less space, or are never implemented at all. 2. The core of the EU is neoliberal economic policy. It cannot be reformed in line with our goals. Neoliberal economic integration lies at the heart of EU policy. This is evident in the cornerstones on which the EU is built, such as the functioning of the euro and the single market. The “four freedoms” are designed to fuel competition among member states and, among other things, to drive down wages, social standards and taxes on profits and wealth. The way in which the euro works serves to deepen this competition and drive a wedge between the centre and the periphery. Additionally, neoliberal budget and economic policy has been anchored in the legal framework of the EU for 20 years – from the Maastricht Treaty to the Fiscal Compact. This has resulted in a rigid framework that obligates states to pursue neoliberal policies. A myriad of EU rules and bans exist to prevent any alternative from emerging. The European Central Bank, which turned off the supply of money to Greek banks to blackmail the government. No one, not even the social democratic heads of government, came to the aid of the Greek government. It was left with no options and was forced to surrender. In comparison, the EU member states and institutions have taken scarcely a single action to counteract the transgressions of the far right. When the Visegrád states acted to prevent a common approach to refugee policy, they were not met with any pushback. There was no effective application of political or economic pressure, though the EU actors had the tools to do this if they wanted. The same applies to the growing erosion of democratic institutions and fundamental rights in Poland and Hungary. Even though the EU is now launching an infringement procedure against Poland, this is nothing if compared to the financial and economic blackmail that was carried out against Greece. Comparing the two very different approaches to these disputes reveals the true character of the EU. While a refugee policy based on the principle of solidarity is of secondary importance, neoliberal economic policy is non-negotiable. The EU’s political elites are more willing to fundamentally endanger European integration than to relinquish its neoliberal core. In our view, the hope of fundamentally reforming the EU is now an illusion. The unanimity of all countries is required to change the treaties. Given the current balance of power, we must acknowledge that radical progressive reform is impossible. By clinging to this strategy, we achieve nothing more than to strengthen the legitimacy of the existing neoliberal EU. Indirectly, we even bolster the far right, since they are the only ones left criticising the EU in any sort of fundamental way. This is why we need a realistic assessment of the EU’s polices and capacity for reform, since only then will we be able to develop strategies that render us politically capable to act. 3. Today, “more Europe” always means “more neoliberalism” and should be rejected. So long as the neoliberal core of the EU remains intact, each new integration measure entrenches its problematic orientation. The Economic and Monetary Union is one of the elite’s flagship projects, and they are unwilling to question it. The 2015 conflict with the left-wing Greek government made this all too apparent. Far from opening it up to scrutiny, European elites are seeking to deepen the Economic and Monetary Union further: in 2016, Jean-Claude Juncker, Mario Draghi, Donald Tusk, Jeroem Dijsselbloem and Martin Schulz published their “Five Presidents’ Report” on the future of the EU. It stated that in order to “complete” the Economic and Monetary Union, the right of parliaments to decide budgets should be further reduced and the pressure on wages, pensions and social benefits increased. They advocated for the European Commission to be given more opportunities to enforce neoliberal reforms of social welfare systems and public services. In short, when the leaders of the EU say “completion”, they mean the dangerous consolidation of everything that is already going wrong. The EU Commission’s spring 2017 white paper, in which Commission President Juncker presented five scenarios for the future of the Union, confirms this course. All scenarios shared the same political content – i.e., the policies to be pursued – and differed only in terms of their institutional aspects. For the elites, the neoliberal orientation towards a greater number of trade and investment agreements, increased competition among member states and undemocratic budget rules is not up for discussion. Now, in 2018, as we translate this book into English, “more Europe” has increasingly come to mean “the expansion and deepening of military cooperation” and “more violence against refugees”. Both these forms of deepening European integration are a danger, not a solution. Today, “more Europe” means more authoritarian neoliberalism and, increasingly, more military. It offers no opportunity for a radical grassroots reimagining of the EU. 4. The question of whether it makes sense to leave the EU or the euro varies from country to country. In Austria, as in other countries with a right-wing hegemony, it is currently not a favourable option. Corporations and the rich are the primary beneficiaries of European competition, while the general population loses out. This applies as a general principle in every country, though it is more strongly evident in some than others. As an economy, a country like Austria is among the winners of the EU integration and the euro, even if these profits are distributed very unevenly. For Spain or Italy, the situation is different. They are among the losers. In recent decades, their whole economies have suffered. Competition among member states has caused local industry to lose ground or even to be completely destroyed – and the negative role of the EU only intensified during the crisis. In Greece and Portugal, the welfare state was deliberately destroyed by EU institutions as part of the Troika. In light of these experiences, the subject of a potential exit is increasingly being discussed among the left and social movements in Southern Europe. Particularly after the submission of the Greek left-wing government to the conditions imposed by the EU, many see a euro exit as a prerequisite for alternative politics. If there is no scope for progressive economic policy within the Economic and Monetary Union, withdrawal might be a necessary step. However, exit is not a political aim in itself and does not achieve any of our political goals. At most, it could be a necessary step after having first won hegemony in our societies. In the context of the right-wing hegemony that we are currently witnessing in many European countries, an exit would not open up any scope for emancipatory policy. This is even more true for countries like Austria, where EU criticism traditionally comes from the far right. In this context, neither an exit debate nor an actual exit would help us to build counter-power. Brexit is an example to learn from, since it happened as the consequence of a racist campaign. Under the Tory government, Brexit will not lead to more socially just policies, but rather the opposite. This outlook might change if Labour takes over government post-Brexit, since leaving. the EU might help them implement progressive policies otherwise blocked by EU rules. But this scenario is highly speculative. In reality, Brexit has so far brought about mostly racist and neoliberal policies. The British exit debate also showed us that when neoliberals and the extreme right fight over the EU, we have nothing to win. Politics as a whole became polarised along the lines of pro- vs. anti-EU, sidelining all the issues the left and social movements were trying to promote. It is for these reasons that we, with our own political arena of Austria, do not consider an Austrian exit to be a sensible demand at present. Within the exit debate, a strong distinction is often drawn between the EU and the euro. This normally goes along the line of, “The euro is a problem, but the EU is good”. This separation is misleading. Although the structure of the eurozone is undoubtedly leading to economic destruction, the problems of EU economic policy run deeper, and the single market itself is preventing alternative policies. There is no particular debate about the euro or about an exit from the euro occurring among the Austrian public. According to Eurobarometer surveys, the euro is actually much more popular there than in the rest of the EU. In countries such as Spain, Portugal or Greece, which are among the economic losers of the euro, the situation is different. There, the problems of the euro are more obvious, and debating it can help us to frame our criticism of the EU’s economic policy in a broader fashion. 5. The dichotomy of “more EU” or a return to the nation state” is false and misleading. Liberal, conservative and social democratic parties alike consistently counter EU criticism with accusations of seeking a return to the nation state. This is accompanied by the claim that it is not the EU itself that is the problem, but the behaviour of the member states. Political conflicts are purported to exist primarily between the EU institutions one the on hand (alleged to be acting in the European interest) and the member states on the other (alleged to be acting in the national interest). But the dichotomy between “more EU” or “return to the nation state” is false and misleading, as is the dichotomy between European and national interests. Firstly, there is no such thing as “national” or “European” interests in a general sense. There are conflicts of interest between different classes and social groups, and accordingly, different political goals. Today, the vast majority of political conflicts occur between economic and political elites on the one side and the general population on the other– across and beyond national borders. During the crisis, for example, the EU Commission, the European Parliament and the finance ministers in the Council made the decision to tighten budget rules. This was opposed by trade unions and social movements across Europe. The reduction of the debate to “nation state vs. EU” serves to conceal the actual lines of conflict. Moreover, it stifles critical debates on the EU, since the concept of the nation state has a marred reputation for historical reasons. Secondly, nation states and the EU are inseparable at both an institutional level and within the political process. We must understand them as interlocking blocks. We must also understand that economic elites exploit both levels to advance their interests. TTIP is a clear example of this. 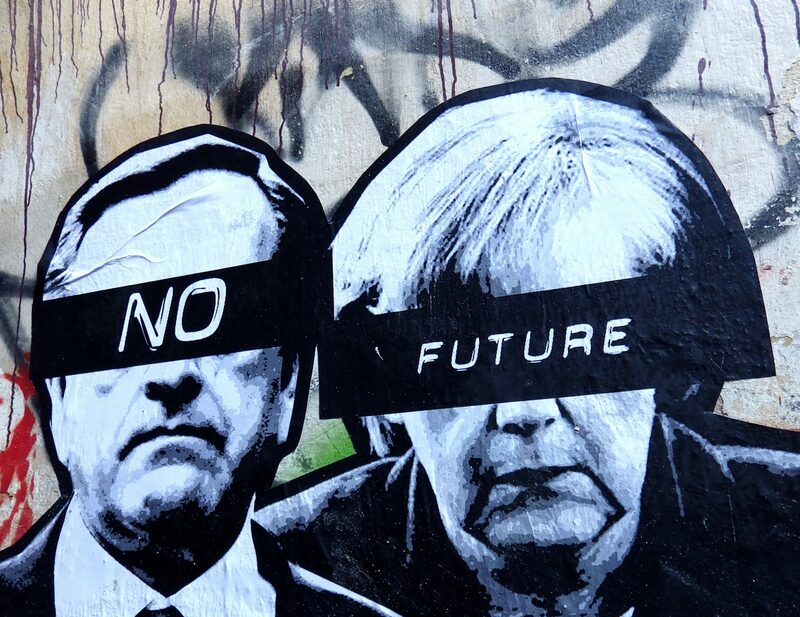 At the outset, the national governments commissioned the EU Commission to negotiate TTIP. In autumn 2016, some governments, including the Austrian one, were forced to adapt a more critical stance due to pressure from their populations. At the same time, they reiterated their intention to continue the negotiations in the EU Council. This shows that national governments do not compete with the EU bodies. When a government wishes to enforce a neoliberal policy for which they do not have domestic approval, it uses the EU level in a targeted way to achieve this. Thirdly, the EU’s neoliberal policies are a breeding ground for nationalism. Liberal and social democratic elites are fond of claiming that the EU protects us from far-right parties like the French Front National or the Austrian Freedom Party. The EU is held up to be a kind of natural bulwark against the far right. However, reality shows that the EU is not really the progressive project against nationalism and conservatism it is claimed to be. EU austerity policies, in particular, helped lay the groundwork for the rise of the far right, since they plunged millions of people into poverty and engendered legitimate existential fears. 6. The (far) right doesn’t only stand for increasingly authoritarian policies, but also for increasingly neoliberal ones. We have to make this fact visible and attack it. So far, right-wing parties have been the main beneficiary of the EU crisis. This is due to the weakness of the left and the rightward shift of the so-called political centre. Whether upper limits and detention camps for refugees, bans on the headscarf and the full-body veil, the expansion of the surveillance state or increased expenditure for the police and military: the policies being pursued today in many countries are the ones that the far right were calling for just a few years beforehand. At the same time, the EU strategies of right wing parties have become more diverse. Many of them have dropped their demands for an EU or euro exit in favour of a strategic and somewhat pragmatic stance towards the EU. Although the French Front National and the Italian Lega claimed for many years that they wanted to leave the euro, they never called the EU into question. During her French presidential campaign, Marine Le Pen of the French Front National (now called Rassemblement National) backtracked and promised a euro referendum instead of an immediate exit. The Italian Lega has a strong position and economic base of support against the euro, but does not question the EU as a whole. And the Austrian Freedom Party, which has long campaigned for an EU exit referendum, abolished this position when they got closer to government. This comes as no surprise, since the party is closely linked to the economic elites who want to retain the euro and the single market at any cost. As their political power increases, right-wing parties change their strategy towards European integration. When in government, they seek to weaken or abolish certain parts of the EU while simultaneously strengthening others. They want to dismantle the freedom of movement of persons and certain fundamental rights, but to deepen the border regime, military cooperation and neoliberal labour market policies. Their intention is not and never has been to break with neoliberalism. The right wing is building a Europe in which goods and capital will continue to circulate freely while borders are raised back up for people. The Visegrád states have been the avant-garde proponents of this strategy in recent years. Though they pick symbolic conflicts with the EU, they are always happy to implement the neoliberal core, even if it requires authoritarian means. So far, the right’s “politics of fear” have been highly successful. However, they do not offer a positive vision of the future. They vow to protect what people have over others or to turn back the clock on certain achievements of the past (including women’s or LGBT rights), but they do not promise a better life than the one people already know. These points – that is, their insistence on neoliberalism and their lack of a positive vision of the future – are important weaknesses of right-wing parties, and ones we should target. However, as we seek to combat the political right, we must not fall into the trap of taking the elites’ side. The Brexit vote has shown that we have nothing to gain when neoliberals and the far-right fight about the EU. We will not succeed in enforcing our demands for a good life for all in an alliance with neoliberal elites, but only against them. 7. Various scenarios are conceivable for the development of the EU in the coming years – and none of them are good. For the first time, a country – Great Britain – is leaving. With CETA, the usual mechanisms that protect against the enforcement of a policy against majority interests have come dangerously close to failing. For the first time, top politicians – Paul Magnette, former Minister-President of Wallonia, and Christian Kern, the former Austrian Chancellor – have talked publicly about the harsh threats that can be doled out as a result of objecting to a neoliberal project. When it comes to caring for refugees, the EU has failed to find a solidarity-based solution and is now seeking to militarise its external borders. In most countries, right-wing extremists are on the rise. They are entering into government and even dictating policies from the opposition benches. Further disintegration: The economic problems causing cleavage in the EU have not disappeared. Even though right-wing parties have adopted more pragmatic approaches to the EU, further disintegration is possible. Paralysis: Conflicts escalate so much that EU institutions are no longer able to act. Such a self-paralysis of the neoliberal system could, for example, mean the end of new trade agreements. However, it would also not lead to any tangible improvements. Muddling through: No further consolidation of the neoliberal dogma, with more and more countries breaking the rules and getting away with it. While this could weaken the enforceability of neoliberal rules, it is also not likely to bring about a genuine change of course. Tactical concessions: Prior to important elections, there could be exceptions to the budget rules or new investment plans. However, such a tactically motivated loosening of the rules would not change the eurozone’s basic orientation. Periodic and empty announcements of support for a “social union” fall into this category. A new mode of integration spearheaded by militarisation and the border regime: Since the Brexit vote, European elites have begun implementing steps towards closer military cooperation in the EU. This is now aided by an enhanced dynamic in all policy areas related to refugees seeking shelter in Europe. We think this last scenario to be the most likely and believe it will be central for the development of the EU in the coming years. Under the pretext of “security”, the EU is quickly moving to even harsher measures against refugees on all levels. As it does so, it breaks its own legal foundations, including the European Convention of Human Rights. Detention camps in or outside the Union, agreements with third countries like Turkey or Libya or the further militarisation of the EU’s borders – all these issues now lie at the centre of EU politics. We witnessed the foreshadowing of this development some time ago, when Juncker’s 2017 scenarios questioned future forms of cooperation in the EU but assumed increased militarisation and trade agreements as certain. At the time of writing, it seems probable that the shifting of militarisation and the border regime to the centre of the EU agenda will become the driver of European integration in the coming years. The false promise of security might even become the EU’s new raison d’être, once its old promise of prosperity has faded. But since the same economic problems remain, this new phase is likely to be unstable. All these scenarios are bad, but the new dynamic pits social movements against new challenges. We must shape our political action according to this realistic outlook. 8. Current initiatives such as DiEM25, Lexit or a democratic convention all fall short in various ways. Many political initiatives are critical of the EU. Although they provide a good basis for further debates, their political approaches often fall short. The DiEM25 (Democracy in Europe Movement 2025) initiative created by former Greek Finance Minister Yanis Varoufakis seeks to reform and democratise the EU. While many of its basic values and ideas are worth supporting, DiEM25 – in our view – leans heavily on the false dichotomy of “saving Europe or letting nationalism win”. By advocating a fundamental reform of the EU – a development which would be legally and politically all but impossible – the initiative prevents us from developing new strategies that go beyond the old patterns of progressive EU criticism. Furthermore, DiEM25 follows a rather top-down approach to politics, working on elaborate plans to reorganise the EU. But we will not change European politics by having perfect policy proposals, but by building counter-power from below. Other initiatives advocate for a democratic convention that will provide the EU with a new constitution. At one point, this was also the demand of Attac Austria. In many cases, constitutional processes such as a convention can be effective ways of reorganising sectors of society, as they were in South America. The current balance of power in the EU, however, suggests that the drivers of such a process would not be progressive, but right-wing forces in all their various shades. This is why we are reluctant to back this proposal today. Citizen participation alone cannot end the right-wing dominance, but it is now very much capable of strengthening it. Even if everything went as planned, a progressive draft constitution would never be implemented by the elites. They would rather pull the plug on the EU than do that. Other initiatives are calling for a “Lexit”: a left-wing exit from the euro. Economically, there are many arguments for this, such as the option for countries to devalue their new currencies and run independent monetary and investment policies. But the opportunities tend to be overstated and the risks underestimated. It is unclear, for example, how debts in the old currency and the instability of the new currency would be dealt with. Minimising the risks would require a degree of coordination between governments that does not currently appear a realistic prospect. In addition, the Lexit debate often does not take into account the different economic and political contexts of the member states. An exit in Spain means something different than in Austria or Finland. In our view, this demand has been presented most progressively in the context of Southern Europe. This is where the biggest problems and distortions as a result of the euro have occurred, but also the strongest resistance movements. As with the general exit debate, we think that a euro exit can only serve as a means to an end within a broader political strategy. 9. We need strategies that empower us to act – here and now. We need to change both our criticisms of the EU and our strategies for change. Hoping for a fundamental reform of the EU will get us nowhere if, in reality, the likelihood of the necessary majorities is becoming ever more remote. What leeway exists within the existing structures, processes and institutions? For which policy areas must we build our own grassroots alternatives? Which issues are capable of creating ruptures both in the fabric of the EU and at the level of the member states, opening up new scope for action and rendering emancipatory politics possible? How can we change the balance of power at different levels and build the necessary strength to promote emancipatory politics? There is not one strategy or one approach; we must take action on different issues and using different approaches. We have to trial as much as we can and continually review the results. Which methods best empower us to act? How can we achieve breaks with the status quo? On which issues or via which forms of politics are we best able to connect with people? We should work at a local, national, European and global level. We must engage at different levels, depending on where we are located and where we see opportunities for action. We must keep in mind how these different levels are interconnected and where we can achieve the greatest impact.